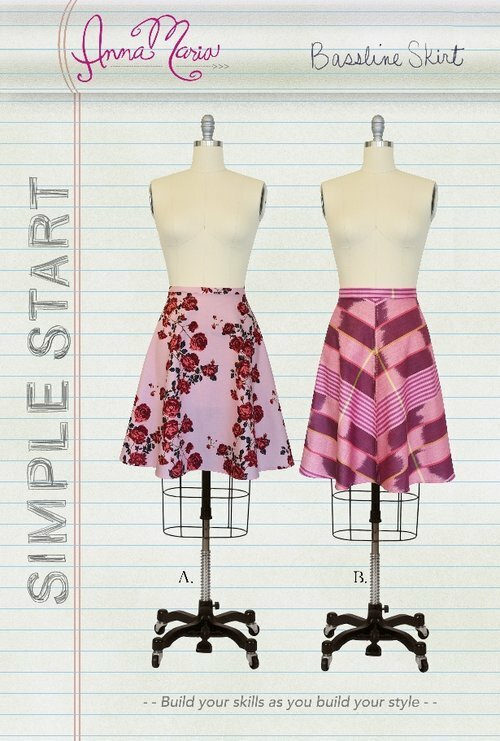 The Bassline Skirt is one of the three new patterns in my SIMPLE START skill building collection of patterns! Skills learned flat waistband, elastic channel, optional on seam pockets and optional bias seaming! The pattern features two options, a solid front and back or a center seam from and back for some fabric play.